Let’s spice up toddler bath time and make it fun again! You’re in one of two bath time camps. Either you live a life of easy peasy, lemon squeezy toddler baths. OR it can be the time of day you dread the most and wonder why anyone even tries bathing kids. 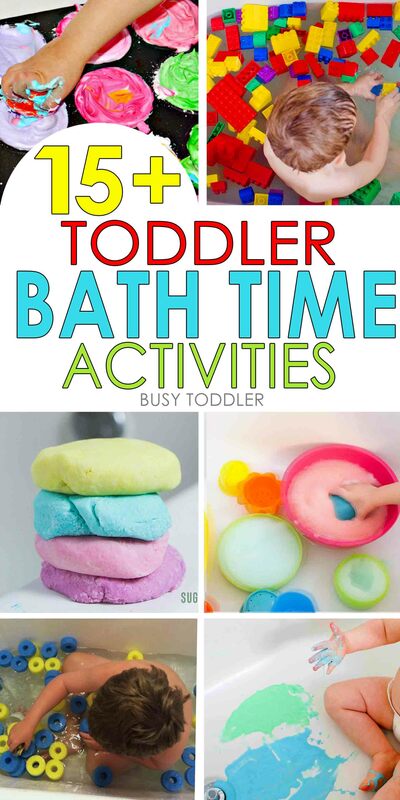 My goal: make toddler bath time fun by making it an activity not a chore. Bath time has such great potential – the water, the bubbles, the contained toddlers so there really can’t be a mess… but it can get lost sometimes in the shrieking of “I don’t want to wash my hair”. 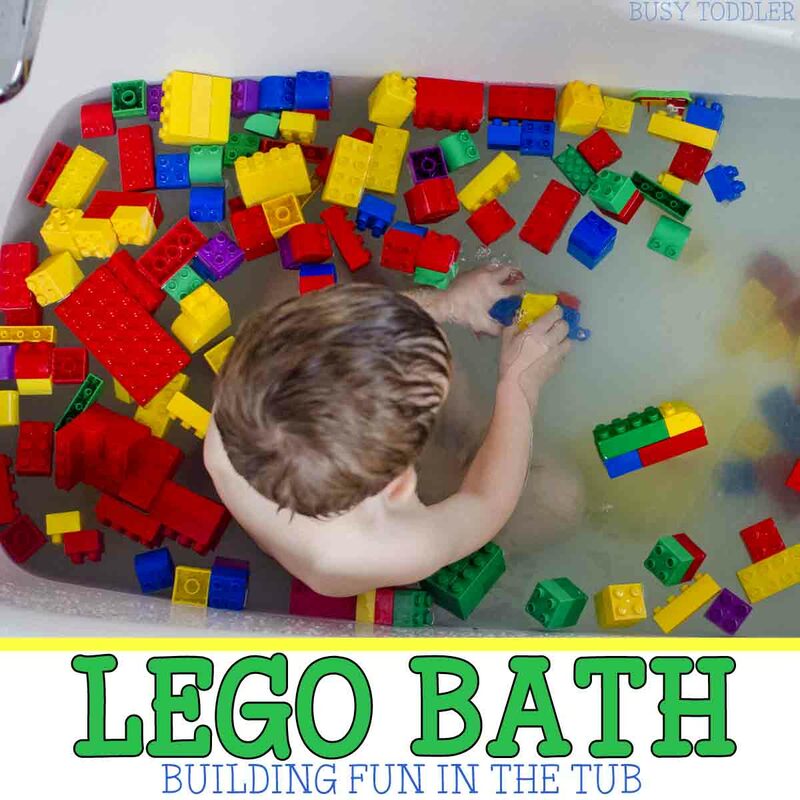 I went on a hunt around the Internet for the best of the best toddler bath time activities. 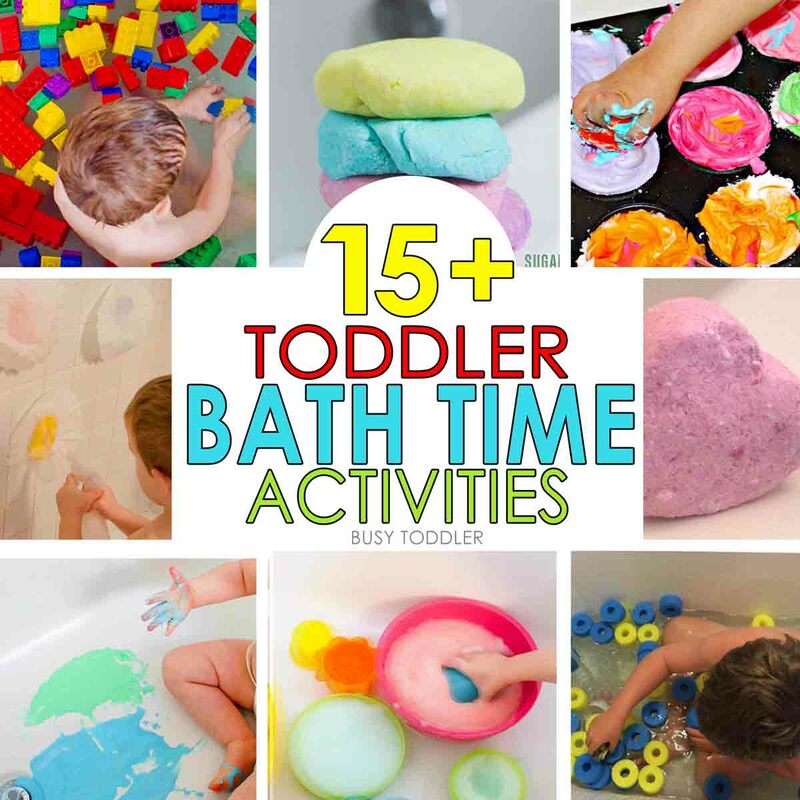 Ready for a great list of toddler bath time activities? 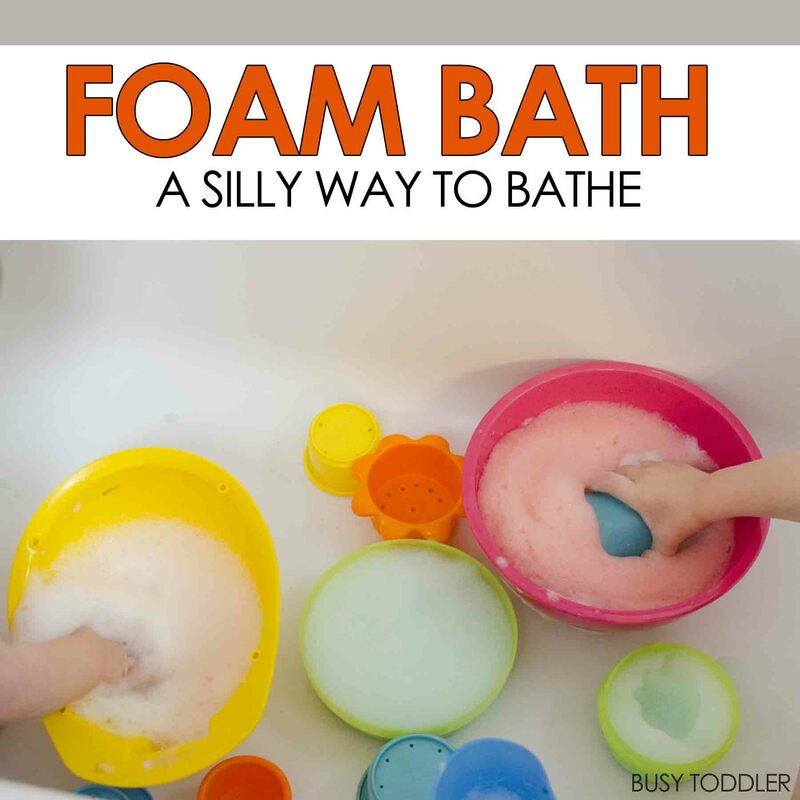 I’m sure these activities will bring the fun back to your tub and make bath tub an absolute hoot. Get ready to click through to some amazing blogs and pin some fantastic ideas. Which toddler bath time idea will you try first? Thanks so much for including our play dough soap and homemade bath bombs, Susie!